Considered one of the prettiest areas on the island, Chania is not only a striving modern city, full of activities to do all year round, it’s also home to one of the most picturesque old towns of the Mediterranean. 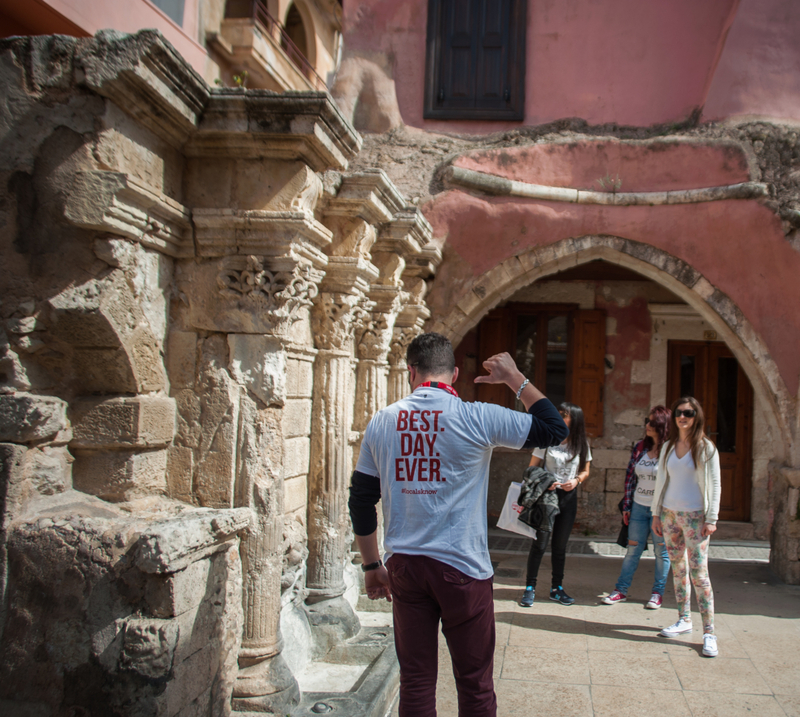 Conquered and invaded during the centuries by different cultures and civilizations, the old town of Chania as well as the Venetian harbor boast an incredibly eclectic architecture made of Venetian mansions, cobble-stoned alleys, Ottoman mosques and colorful bougainvillea. Sit at a table at the waterfront and sip a cup of Greek coffee, while the sun sets behind the beautiful Lighthouse of Chania. Trekking is definitely an activity to be considered if you really want to experience the mountain landscape of Crete. You will be able to appreciate an extensive variety of indigenous fauna and flora, as well as learn some of the legends of the local mountains. It doesn’t matter whether you are an experienced trekker or if you are simply beginning. There are options for everyone on Crete. Those who have already walked long distances in the mountains could experience the magnificence of Samaria, a worldwide famous gorge, where every year, people from all over Europe gather to face a 5 to 7-hour hike to reach the Southern coast of Crete. Instead, if you are just beginning, a walk through the easier gorge of Imbros is the best way to go. The old town of Rethymno is a small gem on the northern coast of Crete. Stroll along the tiny Venetian port or stop for a glass of local raki in one of the many traditional cafés in town. Visit some of the local artisans producing traditional souvenirs or simply enjoy a delicious round of local tapas (or mezes) in one of the elegant restaurants near the Venetian Fortress. For those looking for an experience a bit off the beaten track in the area, drive to the region of Amari, where you can experience the best of Cretan hospitality. 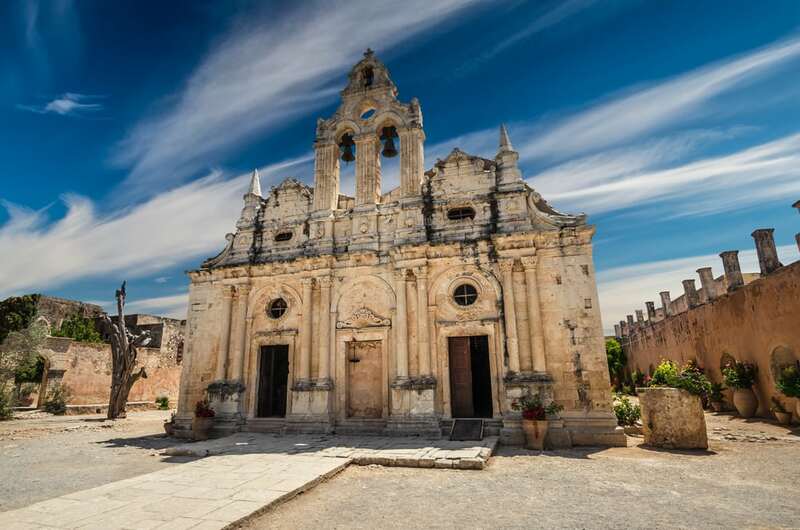 Always in the same area, it’s also possible to visit the Archaeological site of Ancient Eleftherna or make some time to discover the history and the beauty of Arkadi Monastery, one of the most significant buildings on the island, which played a key role in the conquest of freedom. From this point on, reaching the southern coast is another must. Here, beaches such as Plakias or Preveli will reward the visitor with exotic views and unforgettable moments. Immerse in the history of the island with a day in the capital city. Heraklion has a variety of opportunities for visitors to enjoy. First and foremost, the Archaeological Palace of Knossos, a few minutes from the center, is maybe the most visited site on the island. 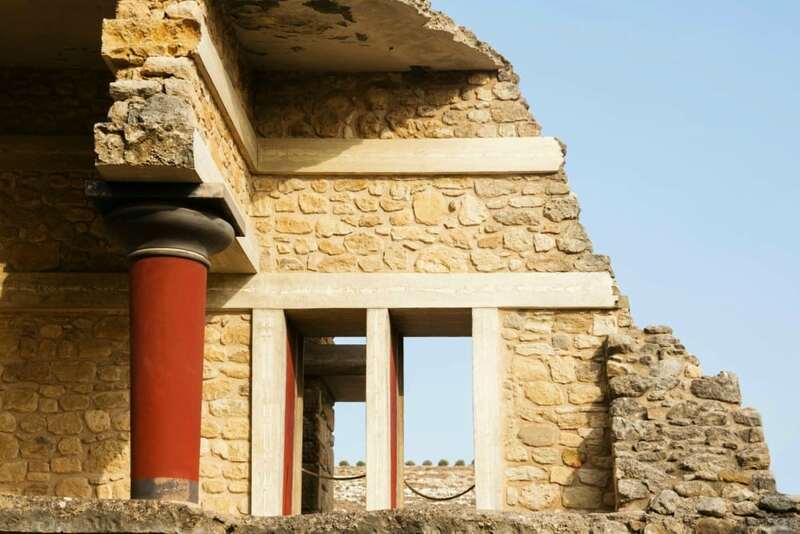 Learn everything about the mysteries of the advanced Minoan civilization and complete the visit to Knossos with an afternoon at the Archaeological Museum of Heraklion. 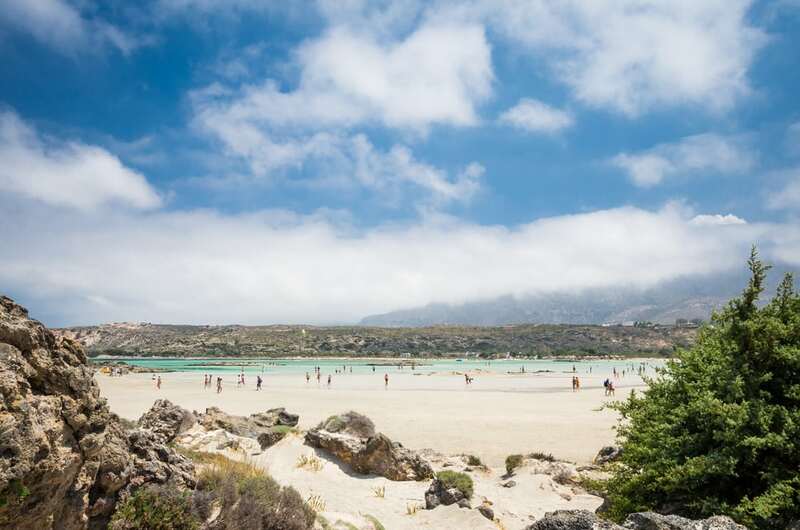 The southern coast of Crete is home to unique beaches, Elafonisi is famous all over the world for its blue waters that contrast with the pinkish shade of the sand. However, there’s more to Elafonisi on Crete. Prove it by spending an afternoon in Komos or seeing the seaside caves of the hippie-style Matala. Landscapes keep changing while you head towards the East. The quaint Elounda is a small town on the northeastern coast of the island, belonging to the municipality of Agios Nikolaos. Exclusive resorts mingle with the tranquil atmosphere of this fishing village. Elounda’s harbor, known as the Gulf of Korfos, is a natural lagoon bordered by rugged peninsulas and an emerald sea. From here, get on a boat and sail to the nearby island of Spinalonga, which for many years was a leper colony serving the whole of Greece. Spinalonga is an uninhabited island made of a small network of run-down streets and houses, abandoned by the end of the previous century. 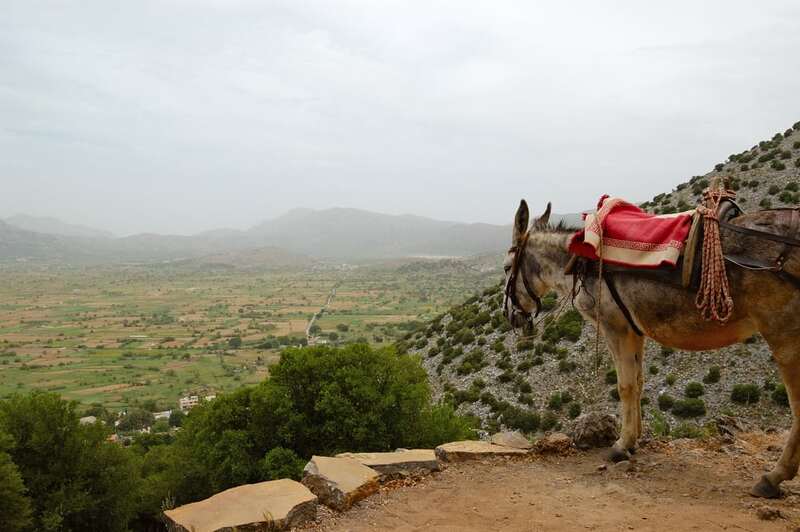 About 70 km from Heraklion, at an average altitude of 840 m, lies the magnificent Lasithi plateau surrounded by mountains. The plateau is well known for the white-sailed windmills that once used to irrigate the land. Many are the caves and archaeological sites to be discovered in Lasithi, among them Diktaion Andron, better known as the birthplace of Zeus, according to Greek Mythology. Another interesting place to see is the archeological site of Karfi, located in the mountains to the north of the plateau.